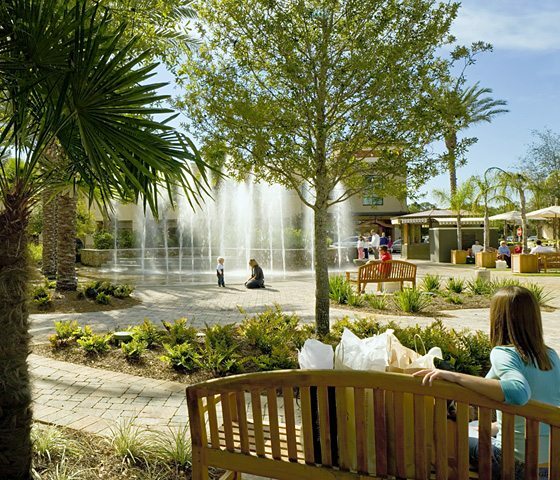 Grand Boulevard is a gorgeous outdoor shopping center just outside the well-manicured gates of Sandestin. 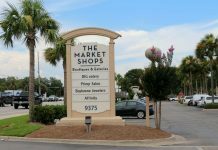 The burgeoning development is one of the larger players on the South Walton shopping scene and has been quickly adding a variety of new restaurants, shops and businesses including South Walton’s only movie theater, Boulevard 10. National retailers. 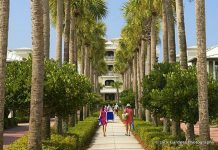 Anthropologie, Lilly Pulitzer and Vineyard Vines join Tommy Bahama, Pottery Barn, J Jill, Sunglass Hut and Kinnucan’s to name just a few. The new stores can all be found in the new center building, which is located on the west side of Grand Boulevard, across from the movie theater. The opening of Anthropologie completes a period of expansion and growth for Grand Boulevard’s town center. Clothing, accessories, and homewares are artfully displayed throughout the 9,000-square-foot store. 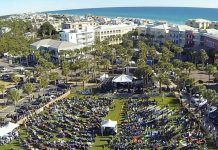 Recently, Grand Boulevard has become host to many of South Walton’s hottest annual events, including the South Walton Beaches Wine and Food Festival and 30A Songwriters Festival. 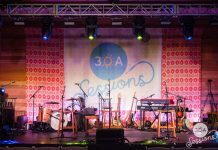 They also have weekly events including a farmer’s market and theater in the park. 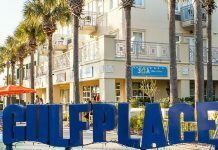 For shopping, you’ll find national brands here such as J. Crew-at-the-beach, Orvis, L’Occitane and Billabong, as well as home-grown retail success stories like Fusion Art Glass Gallery, The Zoo Gallery, Wine World, Donna Burgess Gallery, and J. McLaughlin. 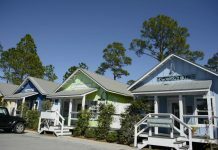 The center features a park with fountains for the kids to play in and shady park benches, and it has plenty of parking — a hot commodity in the 30A area. Grand Boulevard is also home to a diverse menu of exceptional dining options, including Emeril’s Coastal Italian, Fleming’s Prime Steakhouse & Wine Bar, P.F. 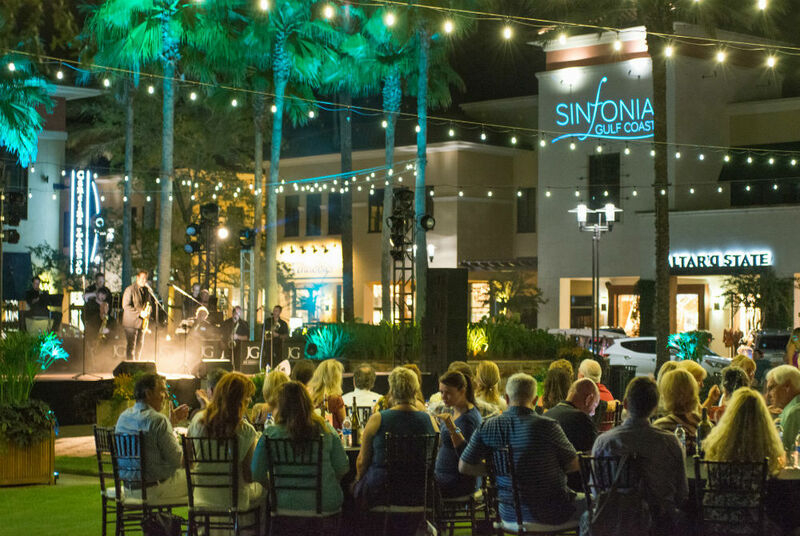 Chang’s, Cantina Laredo, Tommy Bahama’s Restaurant & Bar, Mitchell’s Fish Market, Travinia Italian Kitchen & Wine Bar, Wine World’s Wine Bar, The Craft Bar, Grimaldi’s Pizzeria, Jimmy John’s, Another Broken Egg Café, and of course, for dessert, Kilwin’s Chocolate, Fudge & Ice Cream. There’s also a Courtyard by Marriott and Residence Inn here for extended visits.